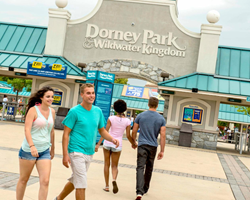 Enjoy unlimited visits to Dorney Park and Wildwater Kingdom every public operating day in 2019. Plus, enjoy free season-long parking, early ride times, early access to Wildwater Kingdom, Bring-A-Friend discounts and more! Just 5 Easy Payments of $20* *After initial payment of $25 due today. Or $125 total. 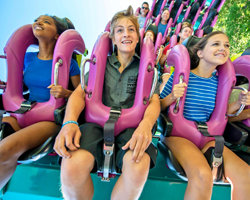 Enjoy all the benefits of the Season Pass in 2019 with the added benefit of enjoying all of those exclusive privileges at all Cedar Fair Parks across the country, including Cedar Point, Kings Island and more! Unlimited fun. 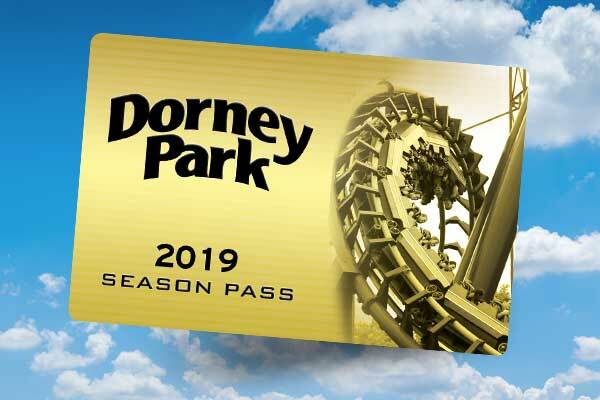 Register online by May 27, 2019 and activate at the park by June 28, 2019. 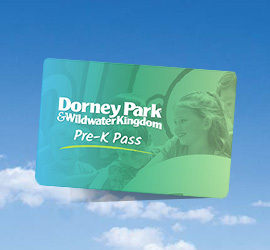 The Dorney Park Pre-K Pass grants complimentary admission to children age three to five years for the entire 2019 public operating season. Proof of age is required in order to activate the Pre-K Pass. A valid birth certificate or passport must be presented at activation to confirm child’s age. *Not valid for separately ticketed events, special events or park buyouts. Includes Halloween Haunt and The Great Pumpkin Fest in 2018 and 2019. *Not valid for separately ticketed events, special events or park buyouts. Includes Halloween Haunt and The Great Pumpkin Fest in 2018. +Discount cannot be combined with other discount offers. Not valid on Dining Plans, Alcoholic Beverages, Soda Bottles or Refills, Cash Only Locations, Arcades and Rentals. Upgrade your normal parking to Preferred Parking for just $5 per day! Valid on the date selected for entry and preferred lot parking of one standard size vehicle.